The ACC Tournament is primed to be a heavyweight fight between some of the best teams in the nation and a bunch of squads that could become a Cinderella in the big dance. Virginia, UNC and Duke are the top three seeds, in that order, and have the best odds to win the tournament, according to FanDuel Sportsbook, but don't forget about top-25 teams like Florida State, which barely lost to Duke, and Virginia Tech, which recently upset the Blue Devils. Get ready because March Madness is here and so is our printable ACC Tournament bracket, which can be found as a PDF here or by using the tweet below. It's been a wild run in the ACC this year, with UNC beating Duke twice but losing to Virginia, and Virginia losing to Duke twice, but beating everyone else on its schedule. 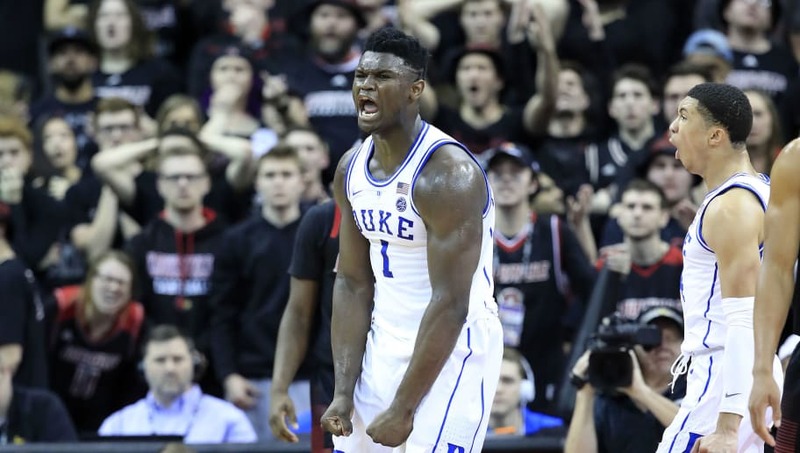 Zion Williamson proved to be the biggest star in college basketball before getting injured in the first game against UNC, but he's expected to be back for the tournament, which should help Duke tremendously. Three teams from the ACC could get No. 1 seeds (UVA, UNC, Duke) in the NCAA Tournament and nine could potentially earn bids. This is our first real preview of the NCAA Tournament and there's no better way to get prepared than by filling out your bracket. For the printable Big Ten tournament bracket, click here. For the printable SEC Tournament bracket, click here.